I will make with them a covenant of peace and banish wild animals from the land, so that they may live in the wild and sleep in the woods securely. I will make them and the region around my hill a blessing; and I will send down the showers in their season; they shall be showers of blessing. The trees of the field shall yield their fruit, and the earth shall yield its increase. They shall be secure on their soil; and they shall know that I am the Lord, when I break the bars of their yoke, and save them from the hands of those who enslaved them. They shall no more be plunder for the nations, nor shall the animals of the land devour them; they shall live in safety, and no one shall make them afraid. I will provide for them a splendid vegetation so that they shall no more be consumed with hunger in the land, and no longer suffer the insults of the nations. They shall know that I, the Lord their God, am with them, and that they, the house of Israel, are my people, says the Lord God. You are my sheep, the sheep of my pasture and I am your God, says the Lord God. Leadership is not a personality trait. It is a commission. This means that without a mission, there is not leadership. It also means that if the mission is not one with (“co-mission”) others: superiors, peers, and subordinates… it probably is not real leadership. There is a created hierarchy to life, and when we are unable to find our place within that hierarchy, we struggle leading. Let me use Dr. Martin Luther King, Jr. as an example of how this worked in the 1960’s. If we flash back to another time when racial and cultural tensions were high here in the United States, we may read about or recall that there were several different factions within both the black and white American people, each looking for different resolutions to that tension. What would have happened if Dr. King had refused to engage the white leaders of the time? What if, instead of non-violent protesting, he had told the people to simply break free of an unjust system and refuse to take part in it. He started down this road, in part, with the bus boycotts. What if he took it further though and told the African Americans not to speak to or even acknowledge the white people around them… to carry on as if they were not even there? If they asked a question or gave a command, to simply ignore it. If they were ahead in line, to push through. If they were crossing the road while you were driving, to keep on driving. I’m sure you can see how the extremes of disengagement would have adverse affects and would not lead to any good form of reconciliation. We cannot isolate ourselves away and expect to make positive social change in the world. There is a lot of wisdom in that adage about walking a mile in someone else’s shoes. I’m also sure that Dr. King had people he respected and looked for wisdom and guidance from who were not only African Americans. Jesus Christ was certainly one of those. He had superiors, peers, and subordinates in his work, and he had a mission that was bigger than himself. That made him a leader, and helped ensure that he was a good one. One of the laws of nature has always been divide and conquer. ”A house divided against itself cannot stand.” So it is with leaders. Once you have been singled out, set apart, and cut off from those superiors, peers, and subordinates, you lose track of your mission, and before long you are lunch for the hungry lion prowling about looking for his dinner. It is not just the weak, the sick, and the old that get eaten first. It is the ones who get cut off from the flock. So, in approaching your own leadership, the first question you need to ask yourself, for the sake of holistic(spiritual, emotional, mental, social, etc.) 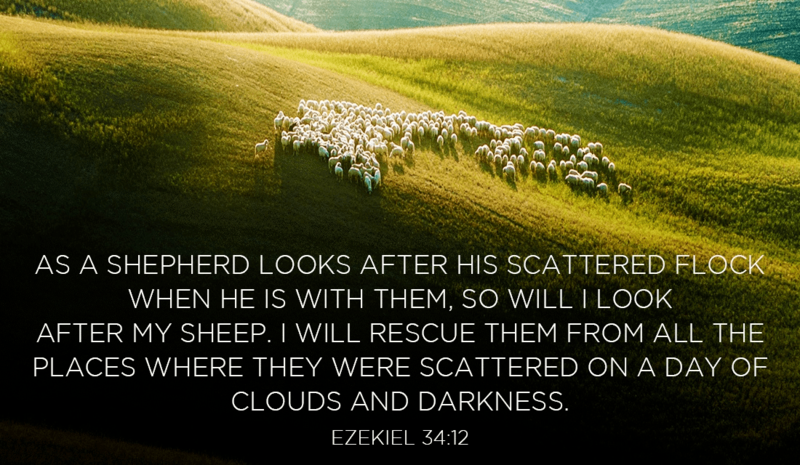 maturity and health is: Who is my shepherd? Be careful not to fall into the trap of believing only God can truly lead you, for that is pride speaking. You need others who God works through, to help keep you grounded in reality, instead of hung up on a flight of fancy. Such unanchored leaders, like Icarus all to often fly too close to the sun and end up going down in flames – taking everyone with them. On the contrary, Jesus teaches that we can be no greater leaders ourselves than the shepherds we follow.